This wonderful home sides to open space on a quiet street. The largest model in Red Willow. 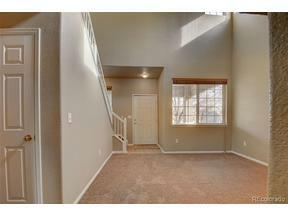 Enjoy everything this home has to offer: Newer carpet, Interior and exterior paint, Tile in Master Bath. Large Kitchen with 42" upper cabinets. Easy to maintain yard and a great 2 Tier Deck you will love for entertaining. Fantastic Neighborhood with lots of parks and walking paths. Cozy 2 sided fireplace between the Living room and Family room. Very large kitchen and dinning area. Open floor plan. There is a great loft upstairs for flex space.